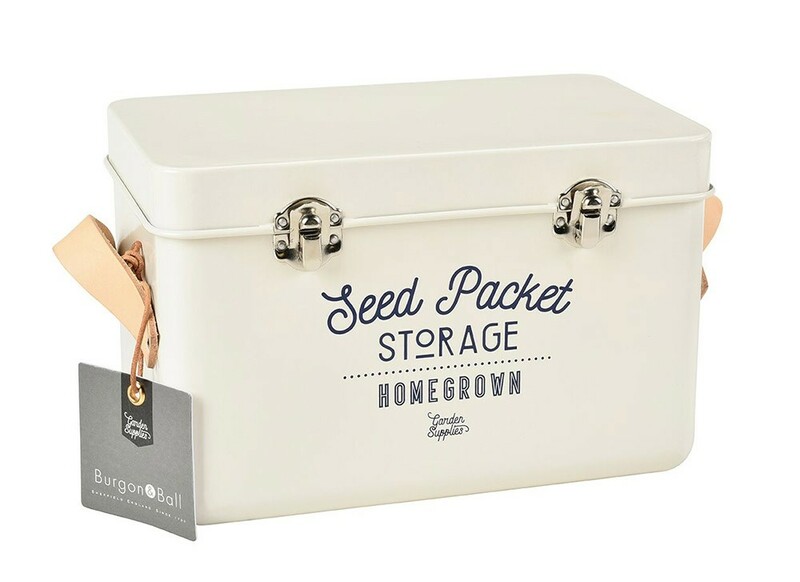 This handsome storage tin has been designed to look stylish in your home or shed. The typography and natural leather handles at either side give this tin a really distinctive look. Elegant curves have been created by a unique moulding process, for a flawless, seam-free finish. The result is irresistibly tactile, with a very contemporary feel. This storage tin is extremely practical, too. 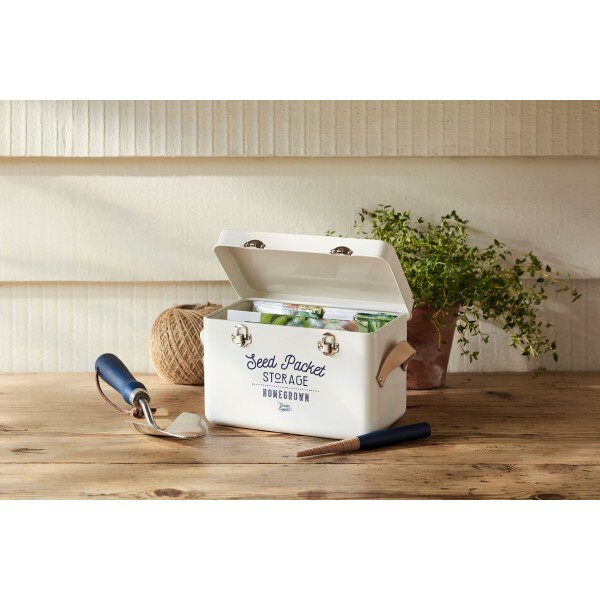 Two strong metal clasps hold the hinged lid securely shut, and inside there are three separate compartments to help organise your collection of garden treasures. One compartment even runs lengthways, giving a home to even the very largest seed packets. Created in strong steel with a tough powder coating, this storage tin will stay looking good for years.